You are not logged in. 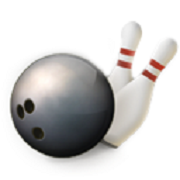 [Log In] BowlingFans.com Home » Forums » Miscellaneous » The Bowler's Lounge » HI!! #199785 - 01/16/19 10:18 PM HI!! Yes, but just monitoring. Participants come and go, but mostly go. Its been awfully quiet for a month. Enjoyed the holidays as our family had fun together. Whenever I take trips by car, I always pack my bowling balls. I love to stop at small places in Quonset huts I might discover. I also like small places in unusual locations or buildings. There's such a place in Quincy, CA., a small town in North-Easter CA. 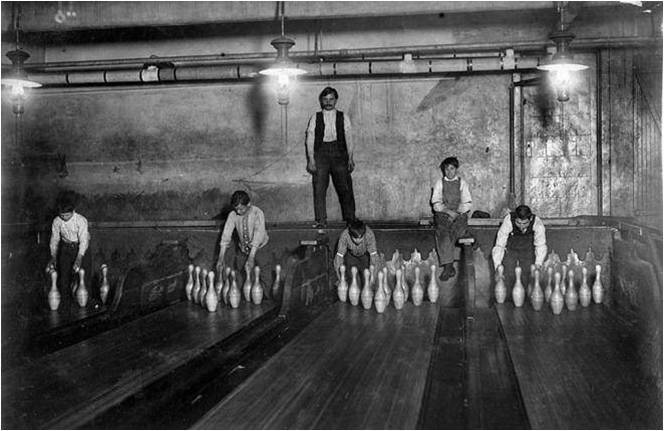 Eight Wood lanes with A2 pinsetters. The place is run by an elderly retired couple. A friend and I were bowling there one morning and the wife explained if something went wrong we'd have to move to other lanes because her husband wouldn't be available to fix the problem. My friend mentioned that I was a pin-chaser as a kid and could probably take care of it. Sure enough, due to filthy turn-around pans a pin headed to the turret, top first versus bottom first. The machine just idles until that's fixed. No problem, I head to the back and discover that climbing up between 2 machines at age 69 and a 100 pounds heavier than when I was 16 is a real trip :-) Fortunately, it was a simple fix and I looked like a hero. Bowling on wood lanes that haven't been dressed with reactive resin balls is impossible. Had to shoot with an old Columbia Blue Dot I use for spares. Made my whole trip worth while. Still posting my bowling, but there was a two-week stretch when I didn't bowl due to ailments. I'm still checking from time to time too. The holidays were very busy for me and work has been hectic. Getting ready to see whatever Mother Nature decides to throw at us in the northeast tomorrow afternoon. Had heart attack Dec 12 and spent about 2 weeks in hospital. Needless to say, I'm not bowling for the rest of the year. Good lock and good bowing to all. Dennis, I'm very sorry to see this post from you. Several years ago I experienced some pressure in my upper body when I went for a walk. I'd go for 2 or 3 miles at a time and this tightness began at around the 1/2 to 3/4 mile distance. I'd stop for 15 or 20 seconds and continue on with no more issues. Finally I called the doctor's office and they had me come in for a stress test. Had to go for more tests a week or two later and ended up on the table for stents. No issues following that. Guess the bullet missed me. Sorry to hear it, Dennis. My heart attack was 20 years ago, so I am officially a survivor. If you smoke, stop. Eat right, and do the exercises. Mine worked out, but each case is different. Hate to hear about the heart attack Dennis. Hope your back to bowling now. Generated in 0.017 seconds in which 0.003 seconds were spent on a total of 15 queries. Zlib compression enabled.